The complaints over behaviour in the caucus of Newfoundland's governing Liberal party just keep coming. CBC's Anthony Germain unpacks the bullying and harassment allegations. 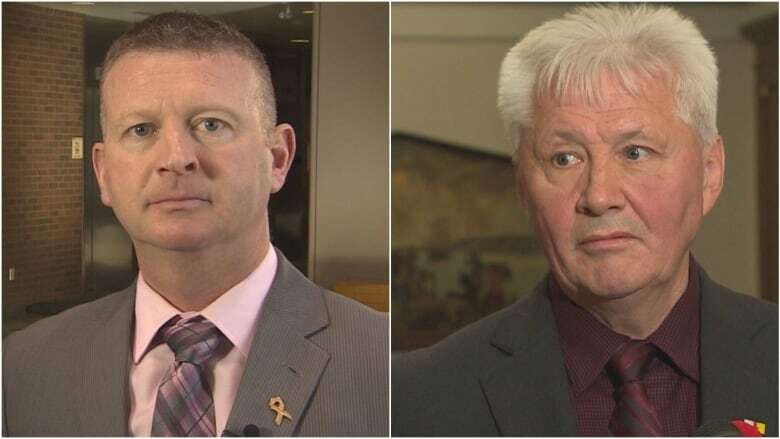 It's been a stormy week in Newfoundland politics with two cabinet ministers kicked out of Premier Dwight Ball's Liberal caucus over complaints about how they treated colleagues. The formal complaint launched against former Municipal Affairs minister Eddie Joyce alleges harassment and bullying in the workplace. The accusations prompted former Minister of Education and Early Childhood Development Dale Kirby to send an email to Liberal MHAs demanding the complainant against Joyce come forward. Kirby argues he wrote the email out of frustration in how the harassment claim had been handled. Both Kirby and Joyce will sit as independents. And that's not all when it comes to Newfoundland's political landscape; there's also the province's former finance minister who resigned last year, in part, due to intimidation and bullying in her own Liberal caucus and cabinet. Anthony Germain, host of Here and Now on CBC TV in Newfoundland and Labrador, unpacks the ever-evolving story with The Current's Anna Maria Tremonti. Was there a sign? What was it that these bullying and harassment allegations were coming? 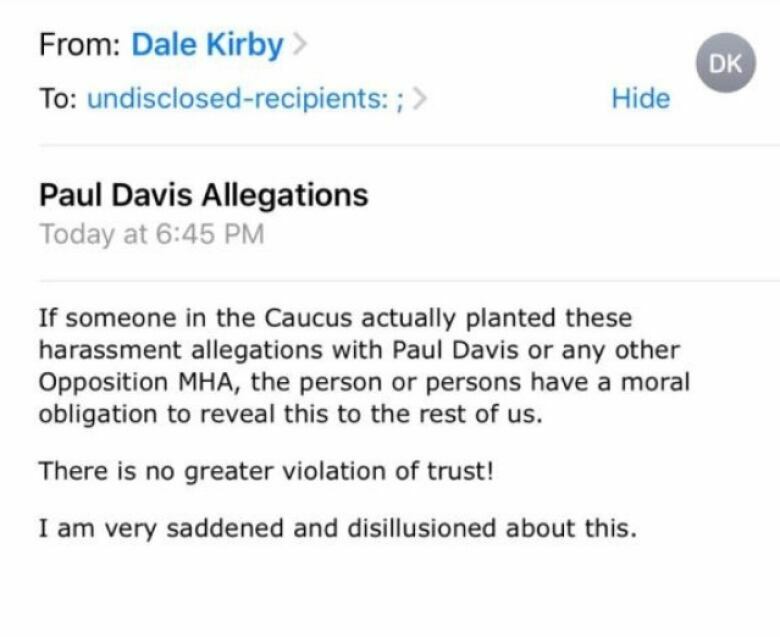 The first official thing was when the leader of the opposition and former Tory premier Paul Davis asked in a nutshell: was the premier aware of any complaints from members on his side of the legislature about harassment or bullying behaviour? Unofficially, our station was prepared. There was a small team of us who were put together and we knew that a lot of dirt and discontent was coming. You had Liberals leaking not just to us, but imagine this leaking to the leader of the opposition. How bad does it have to be for a government to start leaking stuff to their opponents? So let's go through this. There are two cabinet ministers booted from Cabinet and the Liberal Party, what are they accused of? We don't really know, other than the accusations are what the premier calls behavioural in nature. They are not sexual or physical. So it's very murky just what bullying harassment and intimidation actually means. Well, at the moment, four government MHAs. Former finance minister Cathy Bennett came forward [publicly]. The other three have made formal complaints. There's Tracey Perry, she's an opposition MHA. She says she has her complaint ready to go but has no confidence in the process set up to investigate these complaints. Sherry Gambin-Walsh is the cabinet minister who came out and said 'I've complained against a fellow cabinet minister', and is saying she too has no faith in the process that Premier Dwight Ball has chosen to put in place. How has Premier Ball handled all of this? Well his line is almost like: bullying is in the eye of the beholder, that 'yes' things get heated and sharp and passionate, and maybe what one person sees in the heat of the moment might be interpreted as bullying. Normally when an MHA speaks out against their leader like that they get tossed. But how can he expel somebody from caucus who's coming forward with bullying allegations? He's in a tough spot. Listen to the full conversation with Anthony Germain near the top of this page. This segment was produced by Halifax Network Producer Mary-Catherine McIntosh.